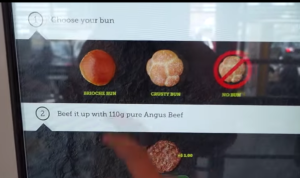 McDonalds look to be rolling even more technology into their branches in Australia thanks to their self-service, touch screen “Gourmet Burger” Kiosk. 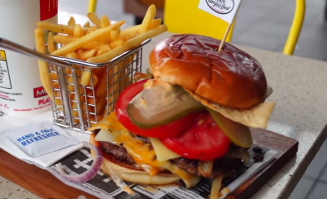 The “Gourmet Burger” is the ultimate in customizable burgers and lets the customer pick pretty much what they want into the burger The Kiosk is a fully fledged ordering system which customers can touch to selet the various options they want for the burger including drinks and side orders. 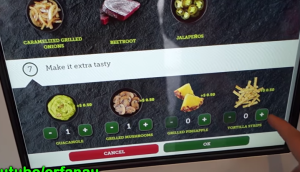 In the video you can see a quick run through of the purchase process on the large touchscreen including selecting if the order is for Takeout or eat-in. You can see some of the design, customization options, clean layout and beautiful imagery that really make the food look mouth wateringly good. Even the upsells look fantastic, and the clean and simple buttons really make it clear where the user needs to click. And lets not forget about the upsells like fries or salad for those health nuts who like to be tempted by visiting McDonalds. 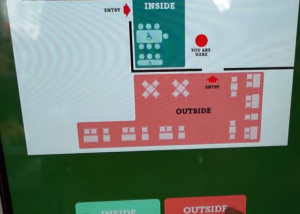 Finally after paying you can select the table you are going to be sitting at, so that the staff member knows where to deliver your awesome burger creation. Overall, I am totally blown away by the experience, especially the amazing execution. The menu options all have subtle animation and transitions which really make the user want to use the touch screen more. 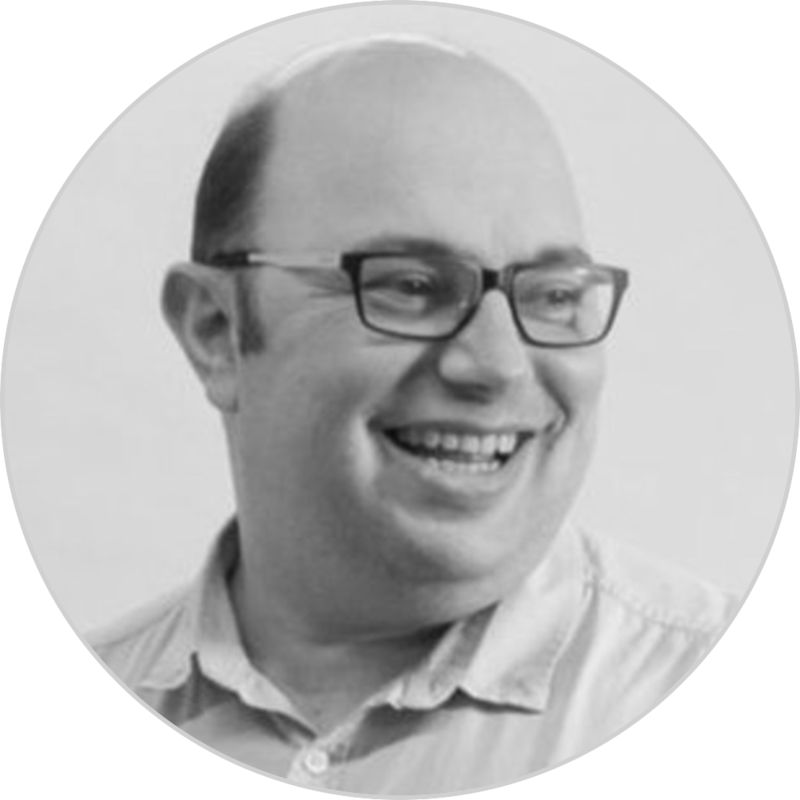 Its really true that cutting edge design, beautiful UX and an great technical delivery has given us a new leader in the in-store ordering experience. 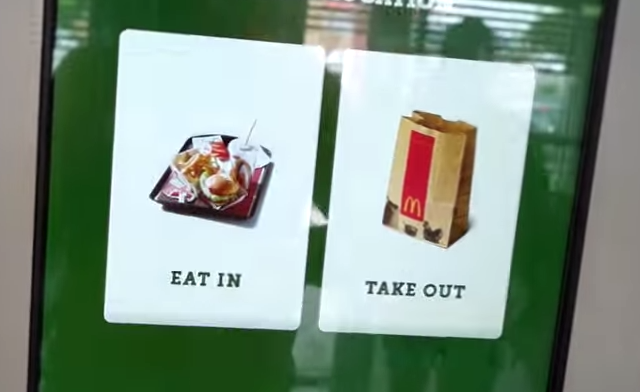 Using motion to create emotion with the users and providing an overwhelming bevvy of options, I can see this driving McDonalds growth in new and exciting ways. 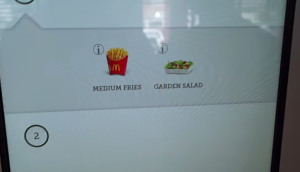 Come on McDonalds, lets get this experience into a UK store pretty sharpish. Thanks to Boaz for the wonderful tip!